Using practice theories as the analytical framework, this paper assesses the potential of the Economic Community of West African States’ (ECOWAS) first ever regional policy on Gender Mainstreaming in Energy Access to produce the desired behavioral changes envisioned. The policy came to fruition after a multi-year, multi-stakeholder effort of research, advocacy, and consensus building; all spearheaded by an institution of the community, the ECOWAS Centre for Renewable Energy and Energy Efficiency (ECREEE). The success of the ECOWAS policy has led to the development of a related regional level legal instrument, monitoring protocols, institutional evolutions, as well as replication efforts in other African regions. The policy’s provisions were aimed at changing the mind-sets and, eventually, behaviors of people concerned and were designed in order to increase its chances of successful implementation; however, the onus lies on the constituent governments of the community to provide incentives for its full and effective implementation in order to guarantee its success. 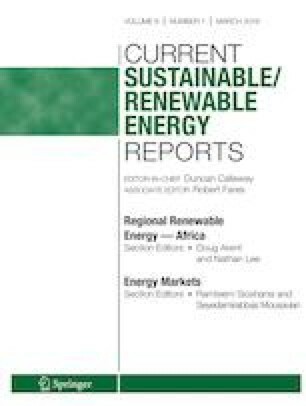 The article discusses the work done by the ECOWAS Centre for Renewable Energy and Energy Efficiency (ECREEE) and ECOWAS in general as it concerns the development of the ECOWAS Policy for Gender Mainstreaming in Energy Access. Monica Maduekwe works with ECREEE and was the staff member responsible for the development of the ECOWAS Policy discussed in the paper. Ellen Morris, Jennye Greene, and Victoria Healey each declares no conflicts of interest.